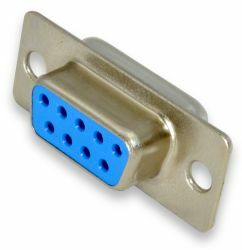 These DB-9 connectors are useful for a wide variety of electronics projects; common applications include serial port communications and DAQ. These are solder-cup style connectors. We also offer matching hoods. The hoods come with all the necessary hardware. Technically, the correct term for these connectors is DE9, although the term 'DB9' is more commonly used.